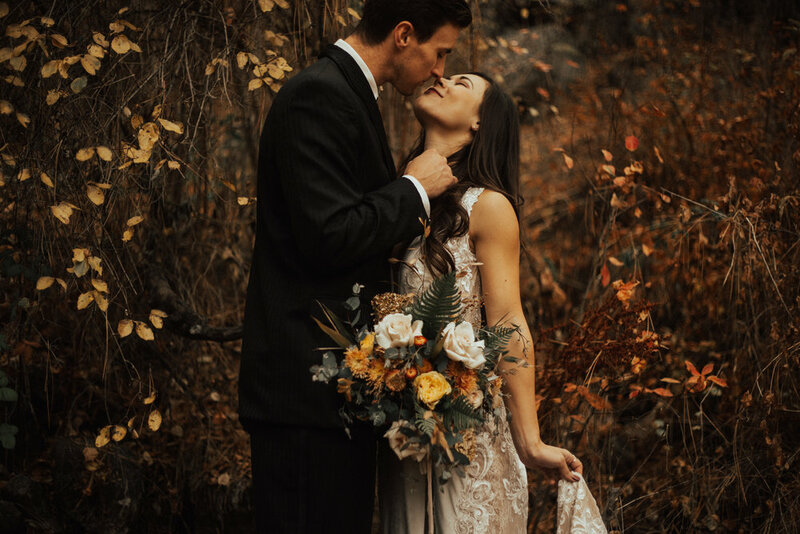 The second I knew I was moving back to the Boise, Idaho area, I knew I wanted to do a styled shoot in the fall. Idaho has the best fall colors in the mountains and I couldn’t just pass that up! I also knew there were such wonderful vendors to work with in Boise that I was excited to create with. I’ll be honest with you though, this styled shoot did not go as planned. But in the end, I’m still so happy with how it turned out. I can’t give enough thanks to Paige at Wildflower Floral, the team at La Neige Bridal, and Nikki and Frankie for working around my crazy work/travel schedule at the time. I actually bought my wedding dress at La Neige Bridal, and the experience and dress are so wonderful and I always rave about them! 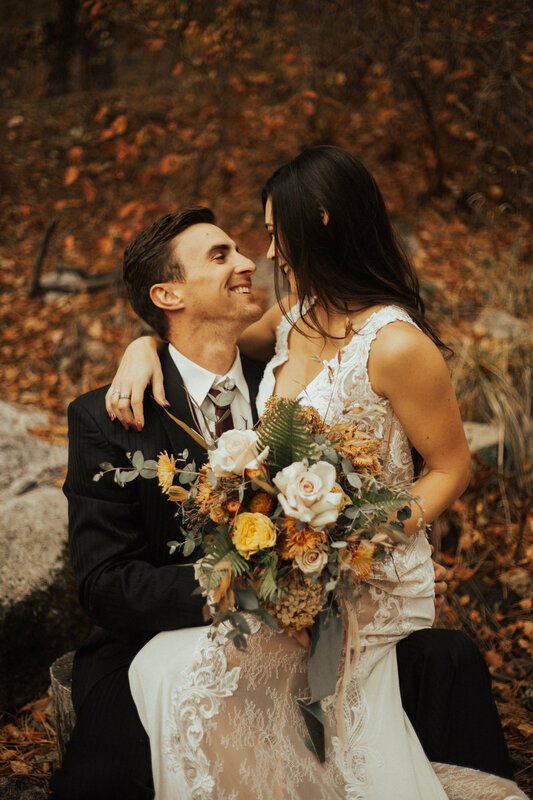 If I had my wedding in Idaho, I also would have hired Paige for my florals because she is seriously AMAZING! For future clients, if you are wanting fall colors in your session, the last week of October is the best time (that’s when I took these photos).